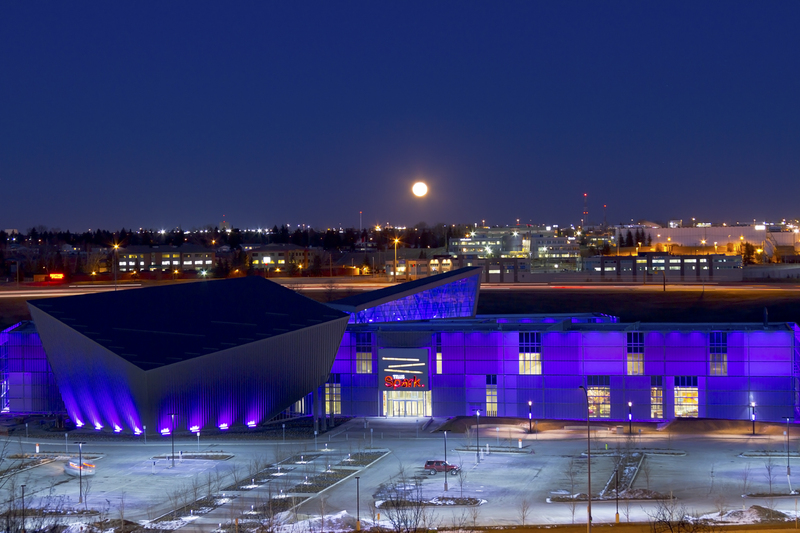 Here’s the Full Moon of February rising over the place I work, the science centre in Calgary, called TELUS Spark. I took this Tuesday evening, February 7, on the night of what is sometimes called the Snow Moon. I knew the Full Moon would rise in the northeast and worked out, with the help of a useful iPad app, just where to stand on the hill above the science centre to get the Moon rising over the science centre. Though it did take a last minute move of a hundred feet to place the Moon over the front entrance! The building glows from the light of banks of LEDs that can be programmed to slowly change colour. The parking lot lights are all nicely shielded, as any astronomically friendly place should be, to prevent light spilling upward. The odd structure to the left contains the new digital dome theatre, which opens this spring. The dome screen is being installed this month. 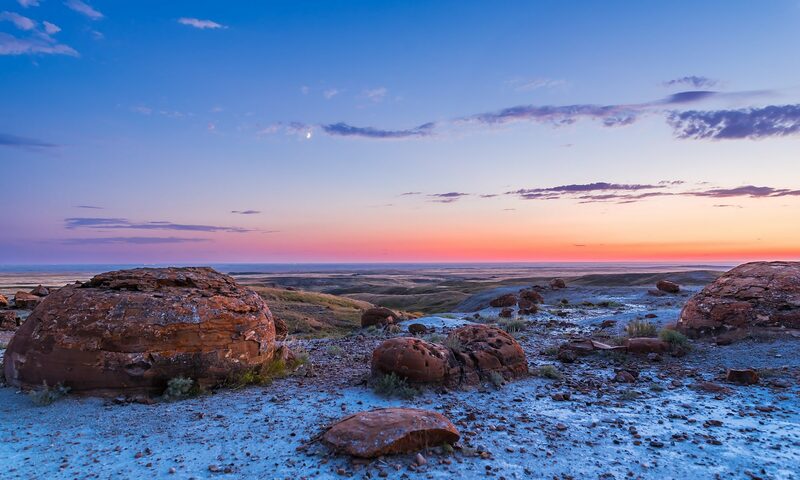 The dome will feature a Digistar 4 projection system with two pairs of very high-end Sony 4K video projectors, for interactive star shows and full-dome movies. Maybe even laser shows! Love the complementary colour of the moon/traffic to the science centre. Very cool. The moon here was stunning.